Tonight I felt like a Thai inspired meal – which started with Vegetarian Penang Curry – I wanted a protein to grill that would complement the sauce and flavour of the curry. This was perfect – my only disappointment was that as it was ready – the skies opened up with crazy rain, hail, thunder and lightning. Nope, no grilling going on here. So – it was grill pan. Second best always, but it turned out quite delicious! Blend well and set aside for serving. I let this marinate for an hour before grilling, but up to 24 hours would be even better. This is easiest if you mix the marinade in a ziplock bag or tightly closed container, add the pork and allow to marinate until ready to cook. 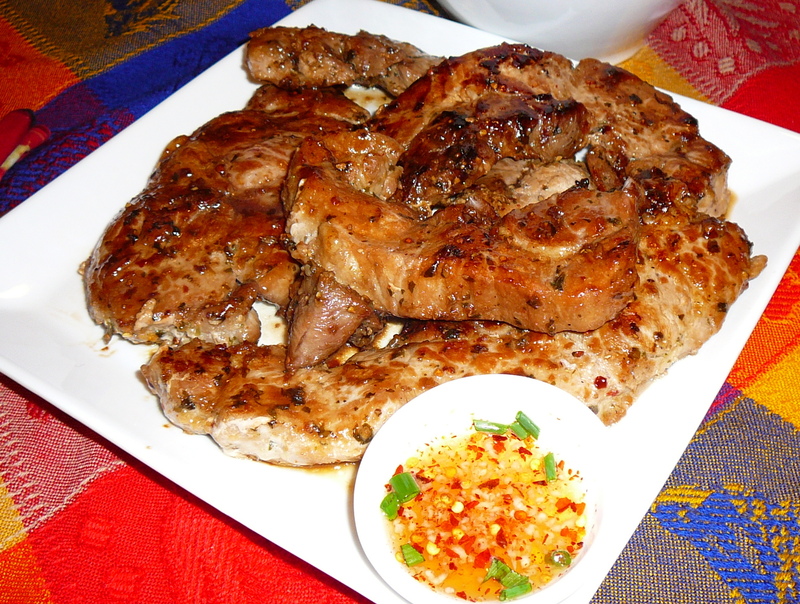 Grill pork, sprinkle with fresh cilantro and green onions – serve with dipping sauce. The meat is great all by itself, but served with the dipping sauce it is over the top yummy. We served it tonight with Penang Curry and Jasmine rice. 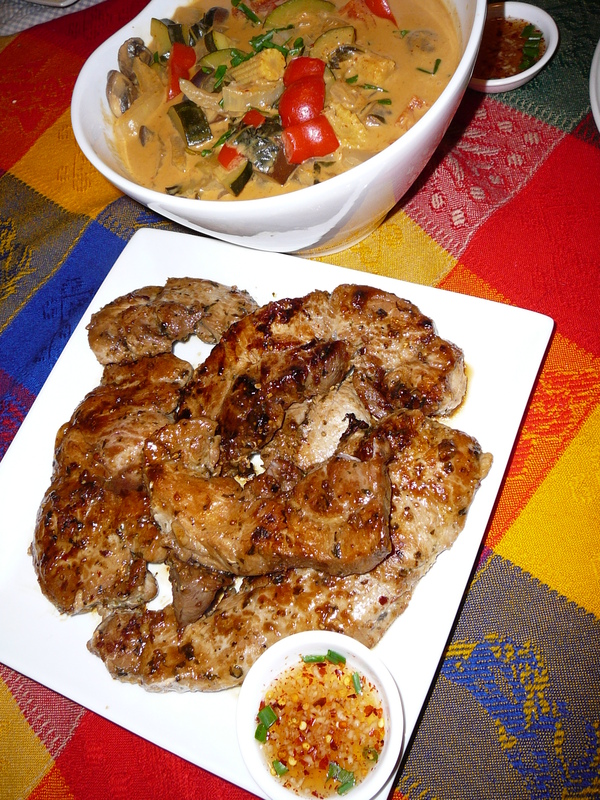 This entry was posted in Asian, Beef and Pork, Grillng, Recipes and tagged curry, grilling, main dishes, pork, Thai by Chatty Kathy. Bookmark the permalink.